So as some of you may know, I am a little more than 6 months pregnant. And of course I want to do a maternity shoot to capture this special time in my life. As a designer, of course my first thought was to make my own dress for the shoot. But maternity is a whole different kind of designing. All of a sudden you have this big basketball shape to design around in the middle of the body. 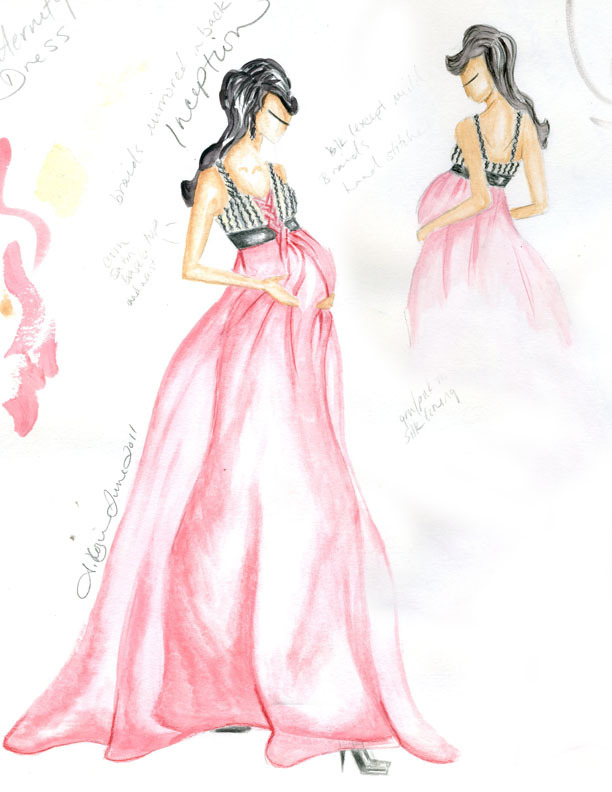 Maternity is a new element for me as a designer, which is why I would love to get opinions on which dress I should create. 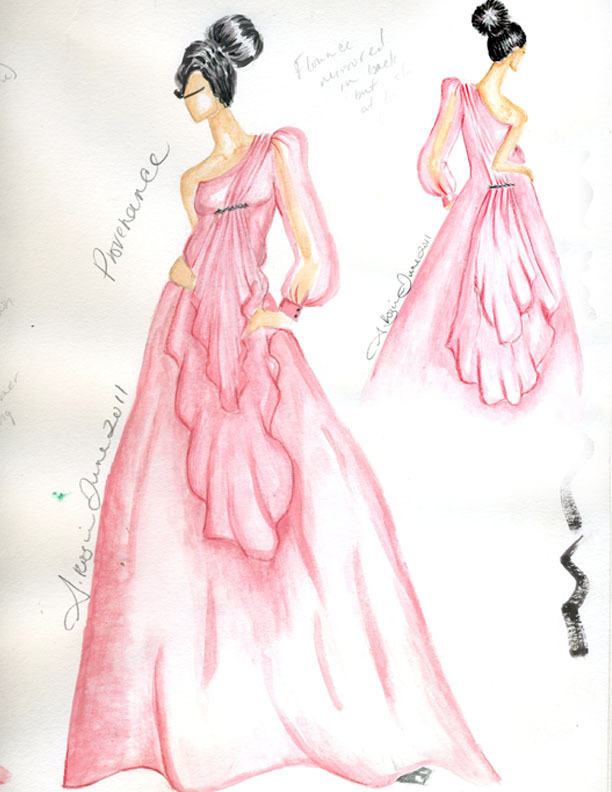 I have sketched three looks to choose from. 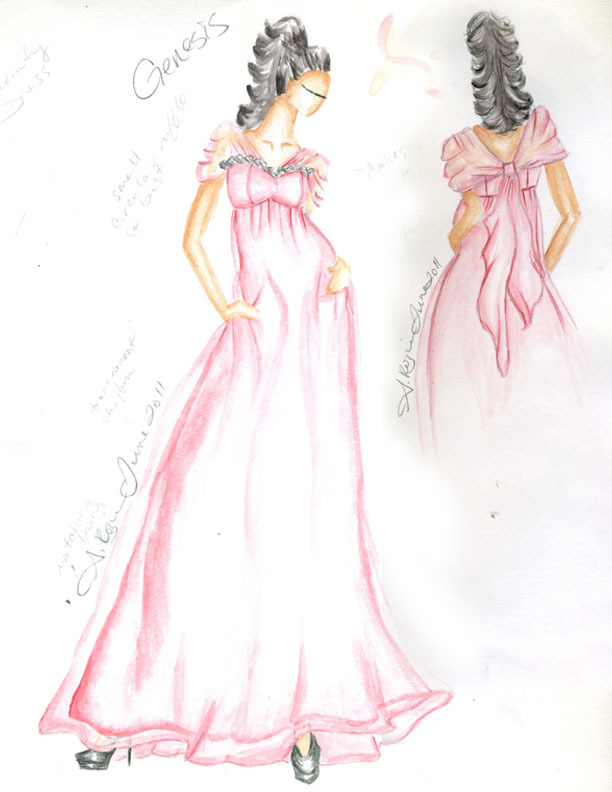 The main fabric for all three would likely be a light, flowy chiffon. Your opinions are very much appreciated!! The polls will close in about 2 weeks. Comments are also welcome, I would love to hear what you have to say!